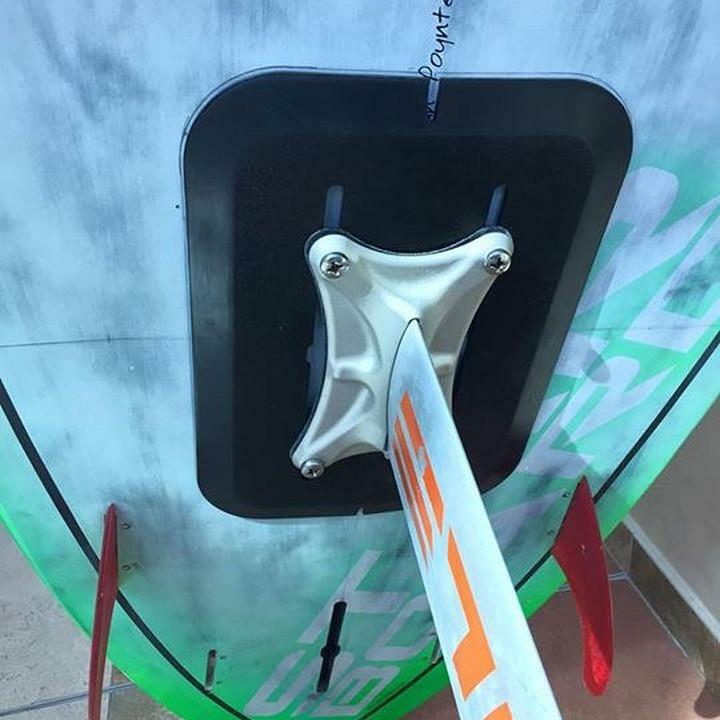 The FoilMount uses a specially designed 3M adhesive tape to stick to the bottom of your board. It will accommodate any foil that uses the 90mm track system (this is industry standard). It is a easy way to fix a broken track system. It is also great for retrofitting boards with through bolt holes to give them the adjust-ability of a sliding track system. 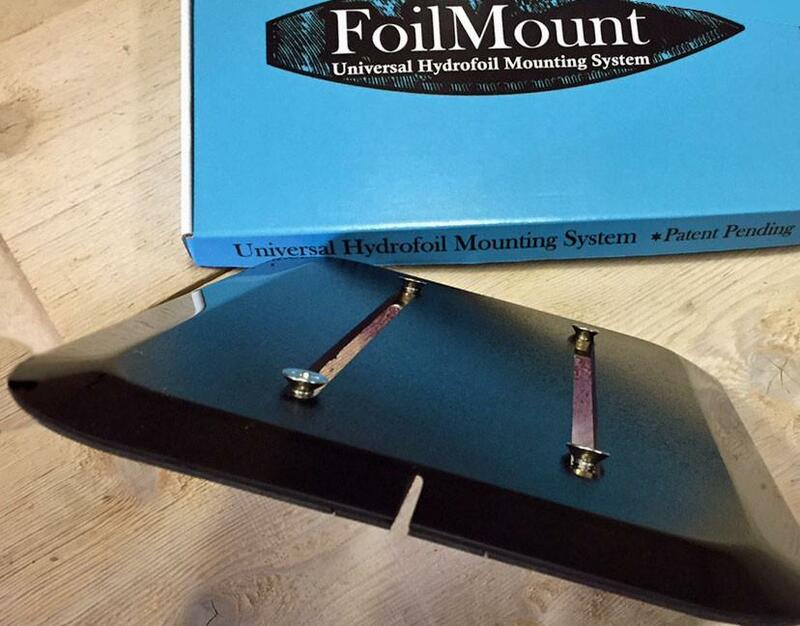 The FoilMount can be removed but cannot be reused. It is very easy to install, just prep the surface with alcohol, peel the backing on the tape, and stick onto the desired location. This is the standard mount with a relief cut down the middle allowing for a mount on top of a ridge on the bottom of the board. The surface still needs to fairly flat, but allows for a slight ridge where the FoilMount will be installed. It is suitable for most SUP boards, hydrofoil boards, Skim boards, Surfboards. If you have any questions about mounting compatibility email us by Clicking Here. 1 set of 4 flat head M8x16mm bolts for Slingshot, Liquid Force, Cabrinha, and most other hydrofoils.